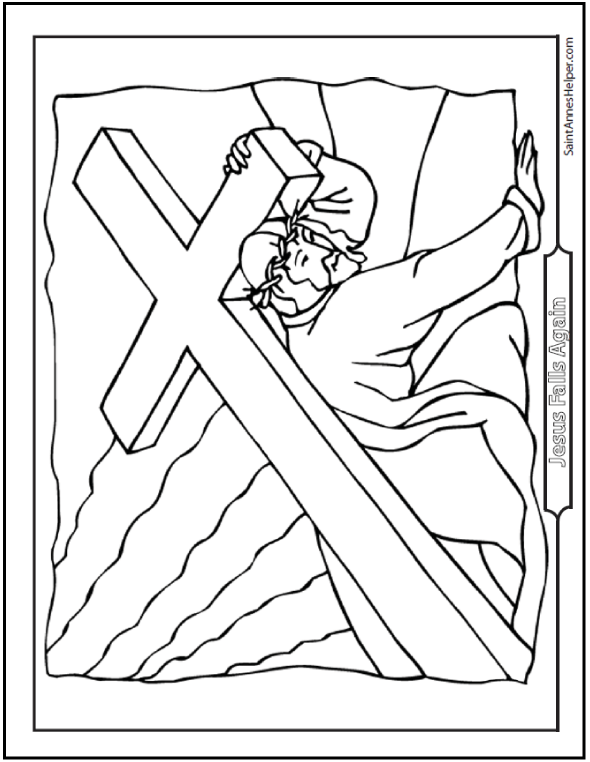 This Jesus Good Friday coloring page shows when He fell under the weight of the Cross. He fell three times on the Way of the Cross: the Third, Seventh, and Ninth Stations. It really helps kids to feel compassion for Jesus' sufferings to think of him falling down. This PDF prints 8.5x11" single sided. Jesus falls three times under the weight of the Cross. The Sorrowful Mysteries are very related to Lent and Holy Week. We have Lent activities for children here. Customize our interactive PDFs with your favorite fonts, colors, and SIZES. 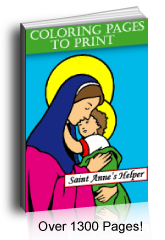 Over 200 printable Catholic coloring pages to print. Plus 300: Christmas, Easter, animals, patriotic and more. A wonderland of joyful modest pictures to use through the years. Make feast day and seasonal cards by using your printer's booklet function.